Shot of two young men testing virtual reality glasses in office. 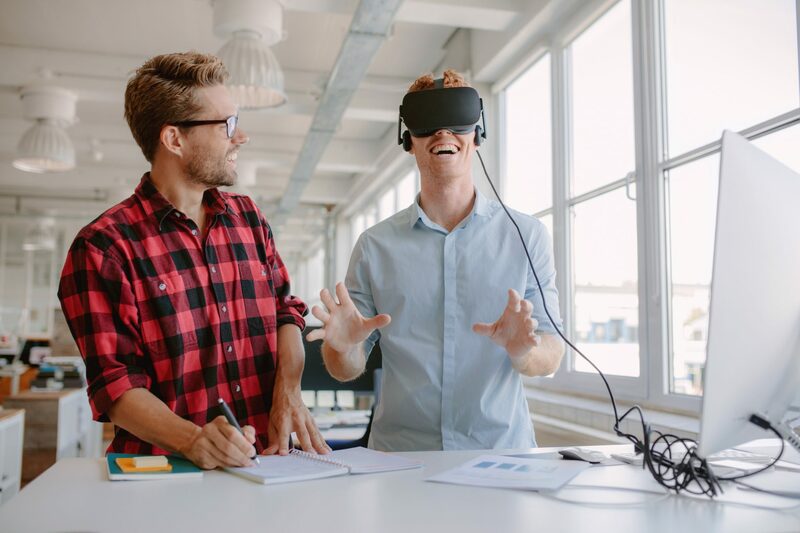 Businessman wearing VR goggles and colleague writing notes. Employees engaged in an interactive simulation training.